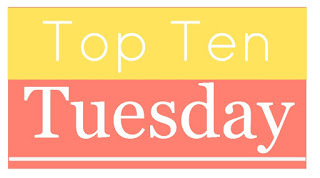 This week’s theme for Top Ten Tuesday brought to you by The Broke and the Bookish is all about Halloween. I’m not really a huge fan of scary books, so I’ll be splitting this week’s Top Ten into two Top Fives. Today’s theme is: Books to Read to get into the Halloween Spirit and Characters I Would Want to be for Halloween. Who better to get you into the spooky Halloween spirit than the one and only master of darkness, Count Dracula? Tension, tension, tension. This book manages to build it up to an almost unbearable level! Not necessarily my favourite book but if reading about a little girl being possessed by the Devil doesn’t get you in the mood for Halloween, I don’t know what will. I found this book absolutely terrifying! The scariest thing about the infected vampire/ zombies is their intelligence and I remember the ending being extremely bleak. This is one to frighten children and adults alike. The descriptions of the nasty witches with their evil plans are enough to make anyone’s hair stand on end! There are Pinterest boards dedicated to costume ideas inspired by Le Cirque des Rêves. There isn’t one particular character that I would like to dress up as, I would just love to go to town choosing a fantastically over the top black and white outfit! You can really use your imagination with a character such as the Mad Hatter. You also get to wear a silly hat and constantly drink tea. Sounds good to me. Miss Havisham is an obvious choice with her dusty old wedding dress. I’d add some cobwebs to my hair to complete the effect. Winnie has always been my favourite witch and she would be great fun to dress up as. My mum’s actually borrowed my stripey socks before for her own Winnie the Witch costume! I’ve been to a Great Gatsby themed hen do and enjoyed it so much that I’d quite happily do it all again! Will you be celebrating Halloween this year by reading a spooky book? And which literary character would you most like to dress up as? I TRIED to read a spooky book for Halloween this year. It turns out Rebecca isn’t as creepy as people make it out to be. Great list! I think I’d like to read Turn of the Screw or Dracula next year. I love Rebecca – it is a bit creepy and Mrs Danvers is very scary, but it’s not quite Halloween worthy! The Night Circus was a great book and I can see how it has inspired costumes. Great Expectations is also one of my favorite books and I can just picture a not so young lady in a Miss Havisham costume. I like the idea of a Miss Havisham costume – you could go really over the top! Thanks! I’m glad to hear other people like Winnie too! I would also consider dressing up as Wilbur – multi coloured or all in black! Too scared to read spooky books but I do like to read one that is set in a large gothic house – so something from Essie Fox or Wilkie Collins for me! As for the character to dress up as – yes I agree that those costumes for the Night Circus would be fab! Ooh yes, you’ve got to love Wilkie Collins! And something like that is not full on scary, but can still make your hair stand on end!